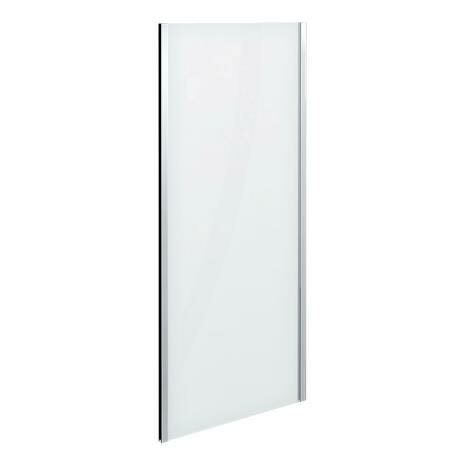 The quality Turin Easy Fit Side panel, featuring 8mm toughened safety glass and a polished chrome frame with a unique Easy Fit patented assembly system. This unique system enables the fitter to assemble the shower enclosure quickly saving time and making the construction process easier. Combine with a Turin Hinged or Sliding shower Door (sold separately) to create a complete shower enclosure.